While you're at it, sign up for the Apollo Newsletter to receive exclusive sales, promotions, and updates. Check us out on social media as well. If you ever find yourself in a tough spot, Iridium Satellite Phones are ready to help with a dedicated, programmable, one-touch SOS button. With one push, you can access 24/7 emergency assistance anywhere in the world by registering for GEOS Emergency Monitoring through Travel Safety Group Limited. Alaska satellite phones; with Alaska being so remote and having such extreme weather, it can be a hard place to live. While natives have learned to live in harmony with the land and its conditions, it can take others by surprise. In fact, this can be seen in many popular TV shows about Alaska, from Deadliest Catch, which is about fishing in the Bering Sea, to Yukon Men. Although TV does not always mimic reality, these shows give a good glimpse into how remote parts of Alaska can be and how hard it can be to get to them. If you have ever traveled to Alaska, whether by air, land, or sea, you know how hard communication can be. Communicating back to the mainland of your home country or with your own team in Alaska can be a bear. As His and Hers Alaska details, cell phone coverage in towns may be good, but when you move away from them all of that changes. In fact, they go on to recommend satellite phones in order to have coverage everywhere. And that is where Apollo SatCom comes into the picture. Discounted airtime rates for customers and organizations using Iridium satellite phones in Canada and Alaska. This prepaid card can be used in Alaska and Canada Only. We know that you are going to Alaska for one of a few reasons: travel, family, business, or scientific research and your need Alaska satellite phones. We are well aware that you may drive hours to get from one town to another. There are only 12,000 miles of paved roads in Alaska. This accounts for .005% of paved roads in the nation, and Alaska is twice the size of Texas. We also know that safety is a priority when it comes to Alaska. With a climate that is very different depending on where you will be and having to use small charter planes, boats, and all-terrain vehicles to get around, you want to be able to keep yourself and your group safe. And there is no better way to do this than with a satellite phone. Alaska satellite phones do not rely on cell towers or conventional networks. They use satellites to beam data anywhere on Earth. Alaska satellite phones can send data just like a cell phone, but they are far superior to cell phones and are more reliable than a GPS. In fact, according to How Stuff Works, when discussing phones associated with satellites “These satellites are designed to handle large volumes of data, meaning they'll work not only for voice calls, but also for video streaming, file sharing, texting, television and much more.” Satellite phones are much more powerful because they use satellites that can cover large geographical areas and handle large amounts of data. This makes them ideal for places like Alaska. Moreover, Alaska satellite phones offer superior call quality and lower delays, which means they will not fail you in an emergency. Inmarsat's flagship maritime service provides dependable, seamless voice and broadband data coverage across the world's oceans. Choose from a range of capabilities and antenna sizes to suit your vessel needs. Whether you select the FleetOne, FB150, FB250 or FB500 terminal, you can rely on FleetBroadband for cost-effective operational and crew communications. Alaska satellite phones services and Alaska satellite phone rentals are time-tested. The vendors that Apollo Satcom works with have been in the industry for a long time. This means they know what they are doing and have the highest quality products. This is important as you want your communication to be reliable when you are doing industrial operations in extreme environments, including deep-water energy exploration, remote mining, and transoceanic shipping. Allowing you to communicate in such circumstances is one way our Alaska satellite phone service is superior to any other form of communication. As mentioned, Alaska satellite phones allow one to communicate from anywhere. Plus, we offer hotspots and terminals, 24/7 support, custom network design, service and airtime, and satellite handsets. We offer different plans, and we will consult with you to help set you up with the right plan. This includes installation, support, and ensuring your ground-based networks integrate smoothly. Plus, we take advantage of industry partnerships that allow us to ensure you have the best possible product and coverage. This includes a partnership with Iridium, which is a leading hardware company in the satellite communication business. 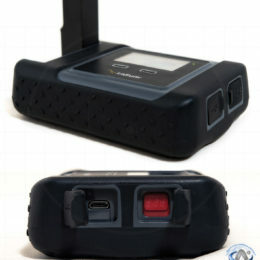 They have innovations such as Iridium Edge, a plug-and-play device that allows connectivity through a small, rugged device. We take who we partner with seriously because we know your business and life depend on our Iridium Alaska plan and Inmarsat BGAN Alaska plan. Inmarsat is just another top company with satellite phone technology that you can rely on. With over 50 service plans, we have you covered like our Alaska satellite phones cover the globe. Whether you are doing research in the most remote location with extreme weather for years or shipping cargo just once, we have the right plan for you. Plus, we offer all the hardware you need for your expedition. If early explorers had our technology, they would not have experienced certain hardships. They could have called for help or even ordered a pizza if they wanted to with our services. We offer equipment specific to maritime regions and land. Our equipment is small in size but large in performance. From Iridium satellite phones to Cobham Sailor Fleet Broadband, we have equipment that will not weigh or slow you down. Plus, we have antennas, accessories, docks, batteries, and everything else you could need in one location. Think of us as a one-stop shop for all your satellite phone needs. With its vastness, beauty, and natural resources, Alaska is an amazing place to do business and research. It took foresight for Seward to see what Alaska is and what it could become. And because of that, Alaska has produced gold and countless other opportunities for both private and government agencies as well as opportunities to learn from the land and animals to help improve life across the world. Being a part of any venture to Alaska can be exhilarating. To see untouched land, glaciers, mountains, seas with so much life, and rugged terrain you cannot find in the lower 48 is something special that many never experience. However, when you are exploring and enjoying Alaska in all its glory, you will want the security of knowing that you can communicate with your family, friends, and business parties anywhere in the world. With Apollo Satcom Alaska satellite phone plans, technology, and accompanying accessories, you can rest assured your experience in Alaska will be fruitful, safe, and most definitely not a folly. 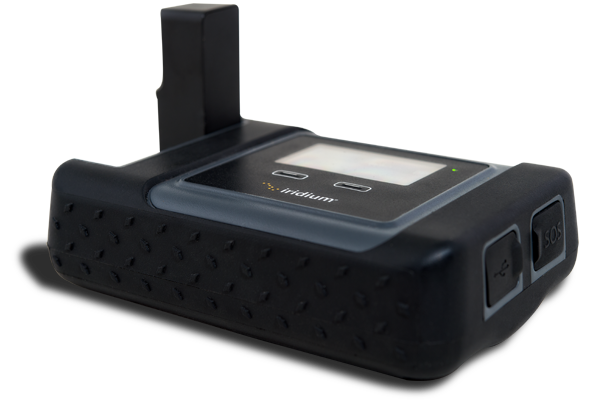 The Iridium Extreme PTT (push-to-talk) is the device for global dependability, adaptability and durability. Only Iridium can deliver the power of fast, simple and secure group communication with the toughest, most feature-rich PTT-enabled satellite phone on the market. It’s time to raise expectations of what a satellite phone should be. Iridium Extreme® combines location awareness, a fully integrated SOS button with included emergency response service, and market-leading toughness — letting you take durability, reliability, and versatility with you in hand, all over the world. Iridium GO Satellite HotSpot 9560 creates the first ever reliable global connection for voice calling and text messaging using your own smartphone or tablet. The Iridium Extreme 9575 GSA Edition EPKT1101 is a compact, tough, rugged, and engineered to support high-usage customers in extremely harsh conditions while keeping them connected on a global scope. The RedPort Aurora gives you the coverage of the Iridium satellite network via your own personal devices like your smartphone, tablet, or computer. Easy to install, easy to use, easy to live with, the RedPort Glow gives you the coverage of the Iridium satellite network with the power of RedPort hardware and services which keep you connected on a global scope. The R3016 and HALO-6 Radar Kit comes paired with a HALO Pulse Compression Pedestal and 6′ open array antenna, featuring low transmitter radiation, superior target definition, and low power consumption. The Simrad R3016 and HALO-4 Radome Kit comes paired with a HALO Pulse Compression Pedestal and 4′ open array antenna, featuring low transmitter radiation, superior target definition, and low power consumption. The Simrad R3016 and HALO-3 Radome Kit comes paired with a HALO Pulse Compression Pedestal and 3′ open array antenna, featuring low transmitter radiation, superior target definition, and low power consumption. The Simrad R2009 and HALO-3 Radome Kit comes paired with a HALO Pulse Compression Pedestal and 3′ open array antenna, featuring low transmitter radiation, superior target definition, and low power consumption. The Simrad R2009 and 4G Radome Kit comes paired with a 4G Broadband radome, featuring extremely low transmitter radiation, superior close-in target definition, and low power consumption. 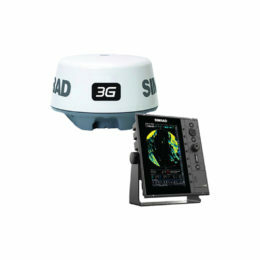 The Simrad R2009 and 3G Radome Kit comes paired with a 3G Broadband radome featuring extremely low transmitter radiation, superior close-in target definition, and low power consumption. The Si-Tex T-760 proves that you don’t need a big boat or deep pockets to benefit from features like touchscreen control, AIS target tracking, and standard MARPA (Mini Automatic Radar Plotting Aid). The Simrad R3016 is a dedicated radar control unit with integrated 16-inch widescreen display, compatible with a range of Simrad radar solutions including Halo™ Pulse Compression, Broadband 3G™/4G™, and HD Digital Radar. 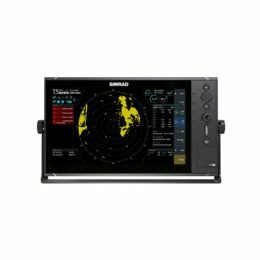 The Simrad R2009 is a dedicated radar control unit with an integrated 9-inch portrait display and compatible with a range of Simrad radar solutions including Halo Pulse Compression, Broadband 3G/4G, and HD Digital Radar. The Furuno FR8255 Maritime Radar System features state of the art signal processing, which makes it easier to identify targets in heavy rain and poor visibility. The Iridium 9555 Satellite Phone is smaller and built stronger than any other Iridium satellite phone and comes with an integrated speakerphone, improved SMS/Email capabilities, an internally stowed antenna. SAILOR FleetBroadband 150 is a high quality solution for smaller recreational and professional use vessels including workboats, fishing vessels, power, and sailing boats. Iridium’s satellite phone, offering portable satellite communications anywhere on the Earth’s surface. Rugged and reliable, the Iridium 9505A is small and lightweight enough to be carried in a backpack and very easy to use. The Intellian v240 Satellite Communications INT-V240 platform is ideal for mission-critical communications and can be tailored to meet operational requirements in all conditions, effectively keeping ships at sea connected and safe. The RedPort Optimizer is a satellite WiFi hotspot and firewall. This little router connects directly to your satellite phone or terminal and broadcasts a WiFi signal that you can then connect to with your computer, laptop, smartphone, or tablet. The Furuno 1815 is a standalone Radar package that features an 8.4” color LCD screen and stylish, low-profile 4kW radome antenna and is designed for a wide variety of vessels. The Thuraya XT-PRO Satellite Phone is a satellite phone with convenience added with GPS, Beidou and Glonass capabilities making connecting easier. 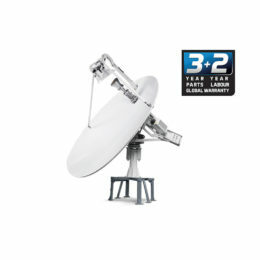 The Intellian v240M is the world’s first antenna to provide auto-switching 2.4m performance in both C- and Ku-band on a single reflector and it keeps ships at sea safe and connected.